Royal Caribbean's Symphony of the Seas is an amazing cruise ship that offers guests so much to see and do onboard. It is one of the largest cruise ships in the world and with so much going on, we present our list of the best secrets that are easily to overlook on Symphony of the Seas. 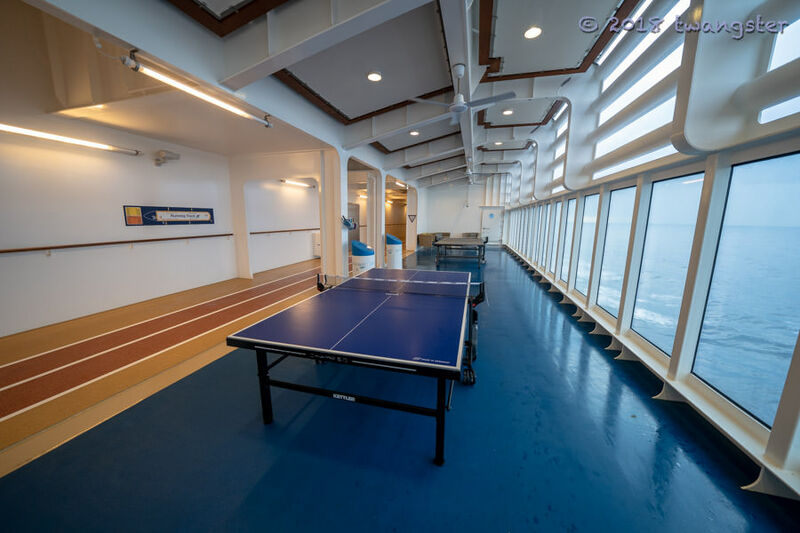 The running track on deck 5 is somewhere you will find other guests getting some laps in walking or jogging around, but there is also a hidden location for a game of ping pong. On each side of the forward deck, you will find two alcoves where you can enjoy the view of the ocean and even some lounge chairs. One side of the deck has a shuffleboard court, and the other had ping pong tables. These alcoves are not only great spots to find seclusion, but they offer something to do with very likely no wait. If you are looking for a quiet spot to watch the ocean, many guests are unaware of an area right below the first Aqua Theater suite balcony on deck seven. Just behind the rock wall, you can find comfortable Adirondack chairs to sit in with the perfect view of the ocean. Rarely will you find other guests here. One of the signature shows on Symphony of the Seas is Flight, a musical tribute to mankind's endeavors to achieve flight and it is held in the Royal Theater. Based on recommendations from the show's tech team as well as our own experience, the ideal spot to sit for this show is around the sixth or seventh row center. The reason being is these seats will provide the perfect vantage point for the show's finale. 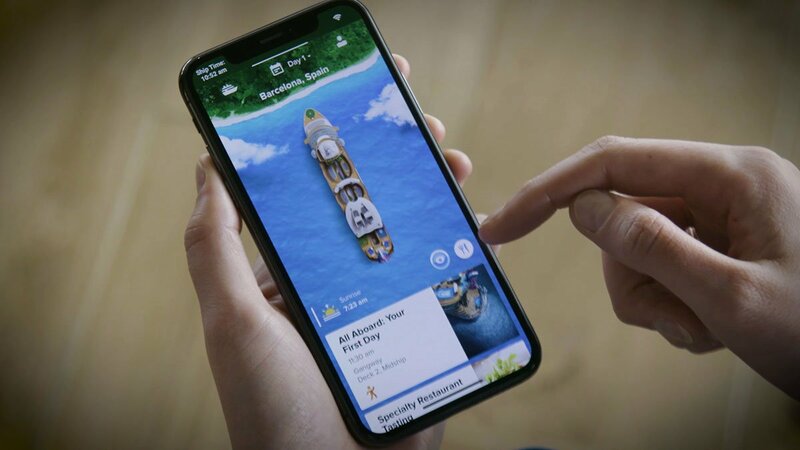 Royal Caribbean's new smart phone app provides a lot of new functionality, but did you know you can check-in via the app as well? Just like the airlines, you can use the app to complete the online check-in. Then, once at the beautiful Terminal A in PortMiami, you can breeze through the check-in process with your app in hand. The app will contain your Set Sail pass and everything you need to get from curb to ship as fast as possible. When sailing on Symphony of the Seas, you have to take some time to find one of the best forms of entertainment Royal Caribbean offers that is not in a theater: the stowaway piano player. 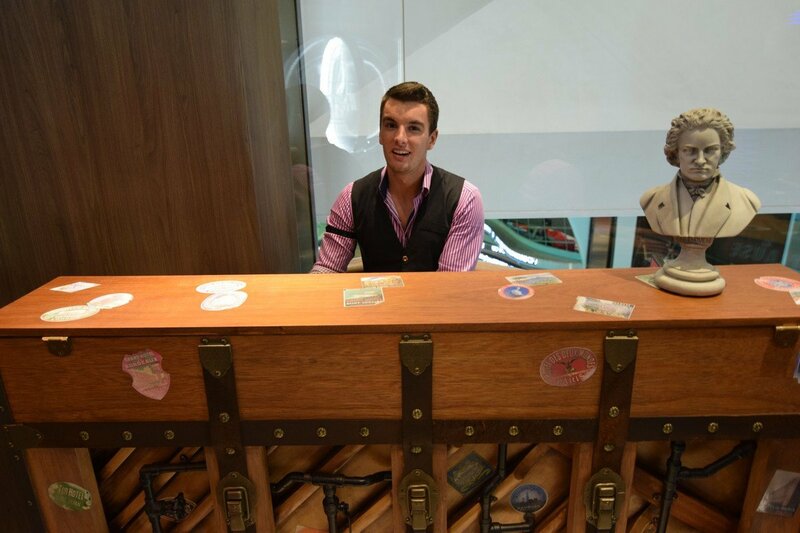 This highly entertaining performer takes his piano on wheels and can perform nearly anywhere the ship. Most often, he can be found in elevators or the Boardwalk neighborhood. You never can tell where or when he will be around, but if you spot him, be sure to take a few minutes to enjoy the show. We love the Windjammer for the sheer variety of food offered, but on embarkation day it can get busy in there. The good news is there are some excellent alternatives to consider that will be much less crowded. Park Cafe, Playmakers, Johnny Rockers and El Loco Fresh are open on embarkation day for lunch and provide quick and easy meals to get your cruise started off right. If you prefer a more relaxed first day meal, Chops Grille, Solarium Bistro and Jamie's Italian are also open for embarkation day lunch. If you happen to be staying in a suite, Coastal Kitchen is also available for day one lunch and open to guests in a Grand Suite or above only. One of our favorite spots on any Oasis Class ship are the bridge wings. Located on deck 14, these viewing platforms extend out from the ship to provide the absolute best view of what is around. When sailing on an Oasis Class cruise ship, one of our best tips for guests is to pre-book their entertainment before going on Symphony. Right after booking a cruise, Royal Caribbean allows guests to register their cruise on their My Cruises section of the Royal Caribbean web site and manage their reservation, with the option of booking dining, entertainment and other purchases prior to the cruise. The best reason to book certain activities, entertainment and dining in advance is to guarantee a spot for you and your family, as well as break up the total cost of the cruise. There is limited capacity for shows, dining and other activities and Royal Caribbean tends to offer guests the option of reserving them prior to their cruise. By booking these activities early, you can ensure you have the time and day that you want all lined up. One of the most impressive pieces of art on Symphony of the Seas is the Big Wonder in the Solarium. New York's SOFTlab's Big Wonder is an architecturally integrated work of art in the Solarium. Comprised of thousands of dichroic acrylic elements, containing over 3,800 facets and covering an area of 241 square meters, this monumental, one-of-a-kind installation expands perception and explores the concept of infinite space as an ever-changing occurence. At night, this piece becomes even more of a must-see as it is lit up beautifully to provide some amazing photo opportunities. 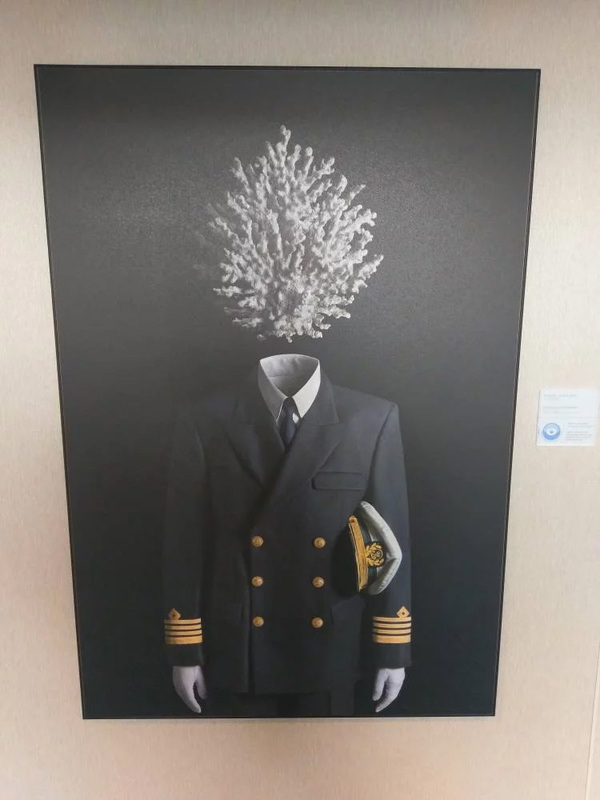 Royal Caribbean loves to include interactive art on its ships, and you will find two distinct opportunities to explore sight and sound on Symphony of the Seas. The "Sound Wonders" come alive with sound when you step into them. These three interactive sound "havens" - Daniel Canogar's all embracing Sound Shell, Alejandro Marote's out-of-the-ordinary, meteorite-inspired sound chamber and dEmo's memorable Drier-Wig sculpture - invite you to activate, contemplate and appreciate one of life's most scintillating senses...sound. 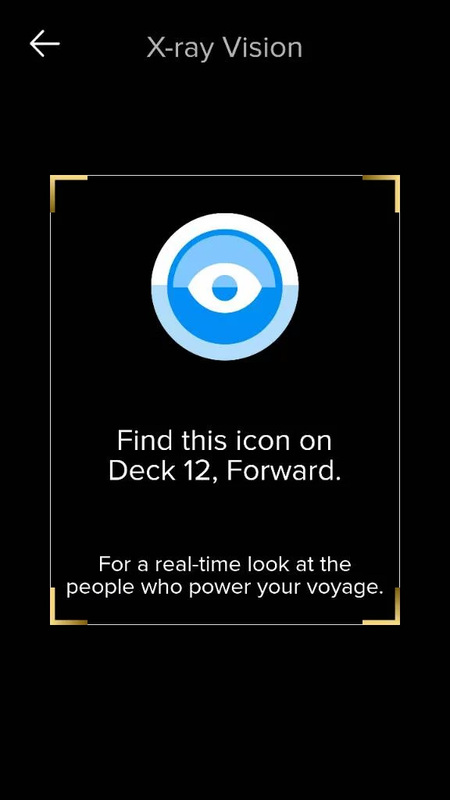 On deck 12 forward, you will find art work require the user to turn on their Royal Caribbean app and then activate X-ray vision. 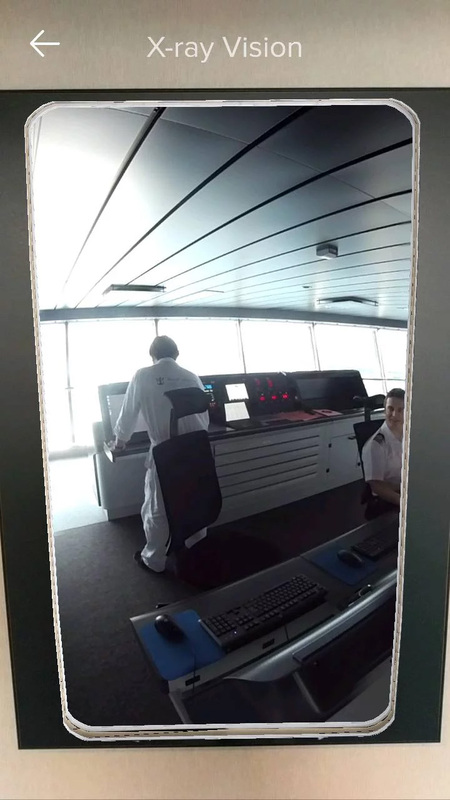 The app allows the user to take a live virtual view around the bridge of Symphony of the Seas. This is a live video, and you can look as long as you would like. Did we miss any Symphony of the Seas secrets? Share them in our comments!